The Chaco War was fought between Paraguay and Bolivia from September 1932 to June 1935. It is considered to be the bloodiest military conflict fought in Latin America during the 20th century. Bolivia and Paraguay, two poorest countries in the region, fought over control over the Northern Chaco (Chaco Boreal) because the area was thought to be rich in oil and also provided access to the Atlantic Ocean, which was very important for both countries since they are landlocked. The ceasefire agreement was signed on June 12, 1935. It was followed by the Chaco Treaty signed in July 1938. According to the treaty, Paraguay got three-quarters of the Northern Chaco. In the course of the war, two Paraguayans and three Bolivians gave their lives for every square mile of this territory. A final treaty marking the boundaries between Paraguay and Bolivia was signed in 2009. 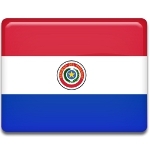 Chaco Armistice Day was declared a public holiday in Paraguay. On this day, Paraguayans not only celebrate the victory but also honor the memory of those who died during the war.